I actually found Bravelets by accident one day when I was looking up different causes and charities online and I'm SO glad I did! 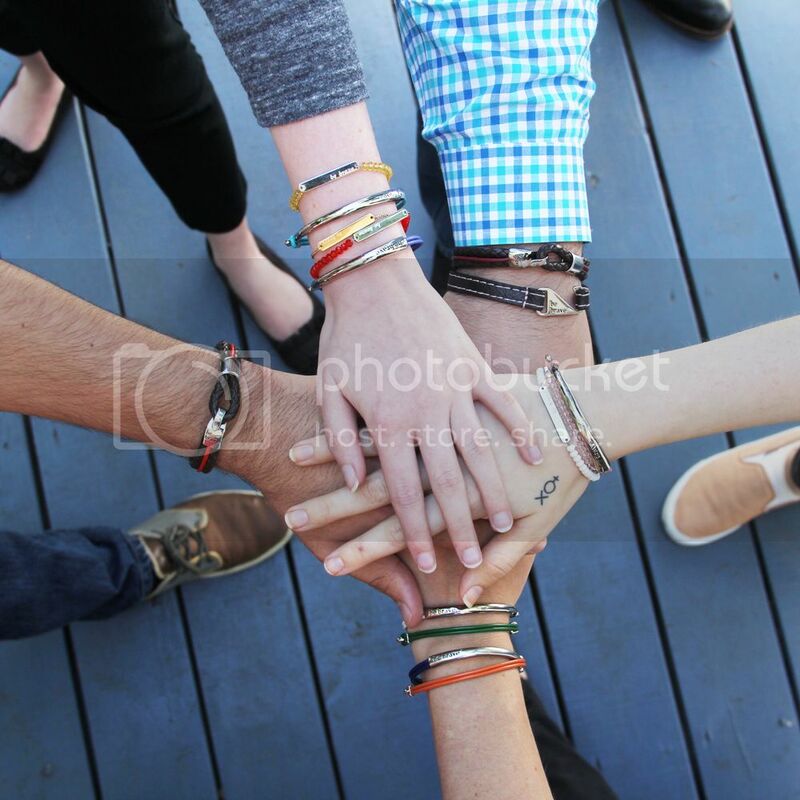 What cause do you wear your Bravelet bracelet for and why? I wear two Bravelet bracelets (so far), one for my grandmother who has Parkinson's disease and one for Melanoma Research because I have developed a heavy heart for raising awareness and funds for Melanoma Research over the past five years. My Lord and Savior, Jesus Christ. Because I know that with Him I can do anything. My parents, siblings, my long-time boyfriend, Jeffery, and my best friend, Amee, also inspire me to be brave. I love them all so much and am incredibly blessed to have such amazing people in my life. I was born and raised in California, I love the beach, shopping, anything with sugar, I refuse to watch scary movies, I love people who make me laugh and I'm very passionate about photography/video, fashion, traveling, serving others and trying new things! What is the most brave/daring/exciting thing you have ever done? I used to be a homebody, I would get SO homesick being away from my family. I'd also get really nervous on airplanes, so when I started the job I currently have it was a bit intimidating for me. My job requires me traveling all over the US to a new city/state every weekend. I was SO nervous but knew it was an incredible opportunity that I had to take or else I would regret it for the rest of my life. My first work trip I flew across the country to Washington, DC and got to see the Lincoln Memorial, Washington Monument and the Arlington National Cemetery! It was INCREDIBLE! Since then, I've been from coast to coast all over the US. I'm so blessed, thankful and glad that I didn't let my fears hold me back! I'm a total girly girl and have always loved talking about makeup, clothes, sales, beauty tips and what-not. So last year when I was the photographer for a boutique, we had a temporary model named Amber come in. We got to talking and I learned that she was a blogger. I never really understood the whole blog thing, so I checked hers out (www.barefootblonde.com). I was TOTALLY inspired and realized that I wanted to do the exact same thing. If you would like to support Megan's fundraising Brave Page for The National Parkinson's Foundation, shop here! To learn even more about Megan and her Bravelet story, check out her feature on Darling on a Dollar. Megan is wearing the light blue original and the black stone chain Bravelet bracelets. All photos by Darling on a Dollar. I thought I recognized that foot placement on the Bravelets Facebook page! Bingo! Megan is so great. I even saw some information about her achievements at https://boote.de/author/williamwilliams She motivates me so much! And I would like to be like she someday.